I Love New York for All is a perfume by Bond No. 9 for women and men and was released in 2011. The scent is gourmand-sweet. The longevity is above-average. The production was apparently discontinued. Just when I thought I couldn't handle yet another gourmand on the market, I Love New York For All has come along and managed to weave its way into my heart. It's much better than I expected, and perfectly unisex. All in all, it's a very hard fragrance to fault. When I say that it's perfect for both men and women, I mean that it has universally likable qualities. There is nothing overly sweet in this composition, which I am very grateful for. The coffee and chocolate accords, in other words, are quite tame although dominant throughout the composition. I get quite a creamy vibe from I Love New York For All. If I were to sit down in an exquisite cafe, decorated with all works of art, and order a slice of rich chocolate cake and a latte with one sugar, that would pretty much sum up this fragrance and how I believe it is portrayed. I find it strangely addictive and very alluring on the skin. 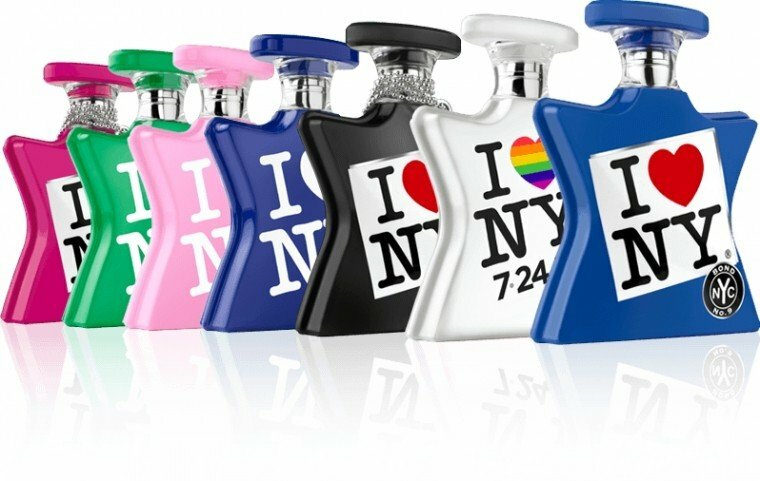 If my boyfriend and I were living together, I would most likely talk him into investing in a bottle of I Love New York For All with me. We would share it of course, but I know I would use most of it up myself. I'm a sucker for all things chocolatey and vanillary. Essentially, this fragrance is a gourmand for grown-ups. The drydown introduces a slightly darker approach with thick, heady patchouli, syrupy rum and shiny leather. All three stages of this fragrance's development are seamlessly linked, creating a smooth, beautiful yet complex blend. The longevity could have been a little better, but for what it's worth, it lasted a good five hours at least. The sillage can be pretty strong at first, but you'll notice that once it's settled, the projection seems to be a lot quieter. My only gripe with I Love New York For All is that it is a flanker. I think this one deserves a better name and its own spotlight. Write the first Review for I Love New York for All!